While you’re adding bridal gown couture to your Pinterest board, Sarah’s checking flights for an interstate work conference. While you’re narrowing down your menu options between the chicken, pork, beef or lamb, Leesa’s waiting to pounce on those impossible-to-get concert tickets. And just as you’ve tracked down the perfect wedding photographer, your dad is working out the details of that trip around Australia he’s been talking about for years. 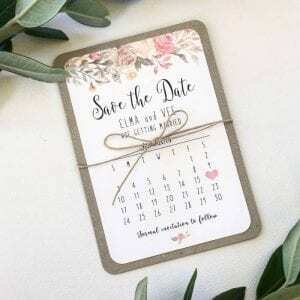 Planning a wedding can get so busy that it’s easy to forget our guests are busy making plans too. 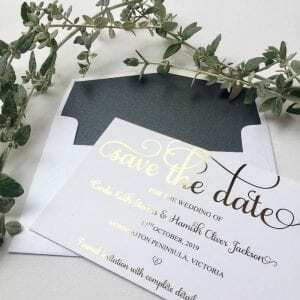 Luxe Invitations’ Save The Date cards are one of the best ways to ensure your wedding is the only thing pencilled in your friends’ and family’s diaries on your intended date. 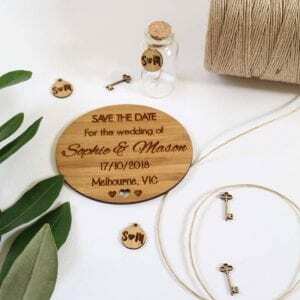 Guests will thank you for having plenty of time to plan annual leave, flights and accommodation for your interstate or overseas wedding – not to mention the cheeky head-start on their exercise routine and extra time to shop for a knock-out ensemble. 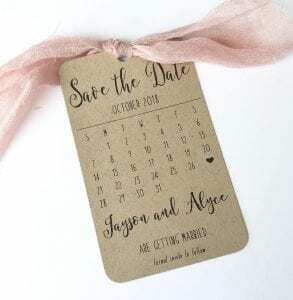 Add a magnet to the back of your Save The Date cards so your guests see it every day on their fridge. Genius! Ready to eliminate some of the stress of rolling out your wedding? 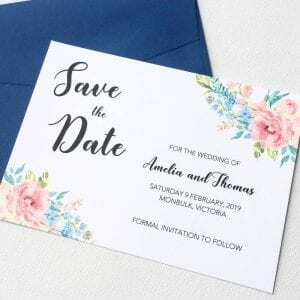 Browse Luxe Invitations’ range below and complete your online order form by simply clicking on the design. These are a gorgeous 80x120mm small tag. Customise it and make it yours! Crafted from a sustainable bamboo, and finished to ensure long-lasting quality and shine! 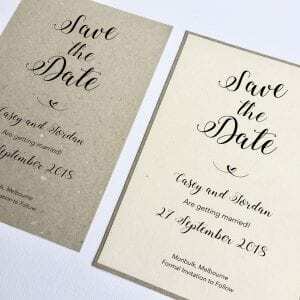 Gorgeous design for the couple wanting just that little bit more! A Spring Wedding? These are perfect for you! 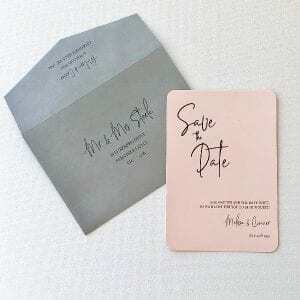 Designed to match our Rustic Heart Invitation suite, these are sure to impress!